Susan Felder is a professional actor and director, produced playwright and a proud member of the Actor’s Equity Association with 12 years of university-level teaching experience. Felder holds a BA in theatre arts from Eastern Michigan University and an MFA in acting from the Academy for Classical Acting at George Washington University. For the past two years, Felder has taught movement, period styles and multi-level acting courses at Bradley University. Felder has previously taught acting and movement at Loyola University Chicago, Northwestern University, University of Notre Dame and graduate-level courses at Oklahoma State University and Montana State University. With more than 20 years experience as a professional actor, Felder has performed in numerous roles with The Goodman Theatre, Chicago Shakespeare Theater, Indiana Repertory, Orlando Shakespeare Festival, Northlight Theatre, Boarshead Theatre and the Attic Theatre among others. Felder received a Thespie Award for Best Supporting Actress as Wendy in Mother’s Day at Boarshead Theatre. She also received the Joseph Jefferson Award and After Dark Award for Best Ensemble in The Laramie Project at Next Theatre. 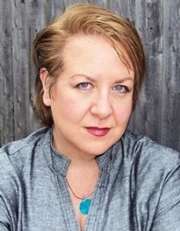 Felder holds two certificates of achievement from the Linklater Voice Center in Scotland, where she studied under world-renowned vocal coach Kristin Linklater. As a verse and language direction coach, Felder has worked with actors and directors to help them better understand Shakespearean language at Chicago Shakespeare Theatre, Montana Shakespeare, Writer’s Theatre, Notre Dame Shakespeare Festival, Milwaukee Shakespeare and Loyola University Chicago. Her extensive directing credits range from the classical repertoire to more contemporary work. At Montana Shakespeare, Felder directed Macbeth, The Tempest, A Midsummer Night’s Dream, Julius Caesar and Romeo and Juliet. Other directing credits include The Quiet Man Tales at The Chicago Theatre, A Love Lost Life – The Marlon Brando Story at the Theatre Building Chicago, Waiting for Godot, the American premiere of The Blue Hour, A Son at the Front, and House of Butterflies at Loyola University Chicago and Beyond Therapy at Oklahoma State University. Most recently, Felder directed The Seagull, Mountaintop, and Our Country’s Good for Bradley University. As a playwright, Felder’s original work has seen much success. Her play Wasteland received a critically acclaimed world premiere at Chicago’s Timeline Theatre. The Chicago Tribune said the show was “involving and strikingly emotional.” Her other works include Swimming with Van Gogh, which was chosen for the 2012 Arkansas New Play Festival and Milky Way and Main, which was chosen for the Judith Karman Hospice Play Festival. Most recently was the world premiere of Felder’s play Temple Spirit at Echo Theatre Dallas.